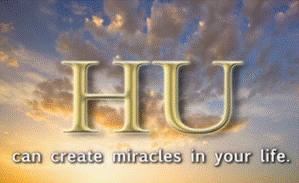 HU is an ancient name for God. It is also a love song to God. All that we do with the word HU is to sing it with reverence. It represents the love of God for Soul, and we are Soul. HU represents the enormous love that the Creator has for Its creation.